All four parts of this meditation should be done for equal lengths of time. They can be practiced for 11, 31, or 62 minutes.This meditation gives concentration and mental beaming. 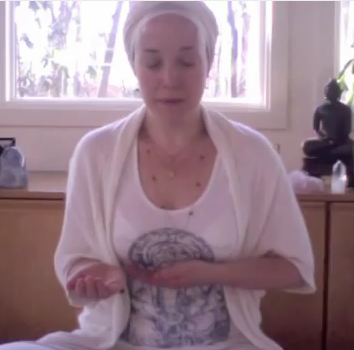 It tunes into the frequency of the Divine Mother—the primal, protective, generating energy. It eliminates fears and fulfills desires. It gives power of action by removing blocks of insecurity. 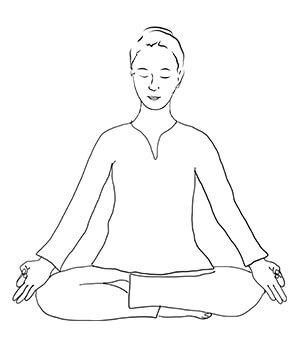 Sit in easy pose with a very slight neck lock (chin slightly pressed in to create a straight spine). Close the eyes. 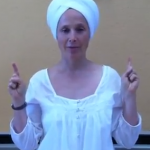 Hands are in gyan mudra. Meditate on the energy come from the womb in a spiral with no beginning and no end. See this as an infinite spiral and imagine this is the primal womb. 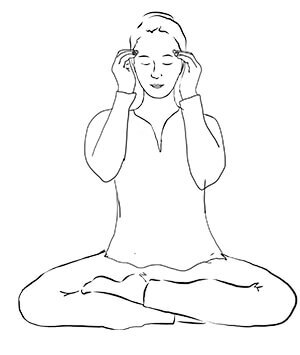 Move the hands up to the sides of the face, hands in a cupped position 4 to 6 inches apart creating two sides of a circle on the edge of the face, but not touching the face. Project a beam of light through the hands to the “Infinite Light.” Your eyes are closed, but imagine looking through the hands and see the beam of light with your ‘mental eyes.’ Breathe long and deep. Meditate. In the same posture, begin chanting Sa Ta Na Ma. 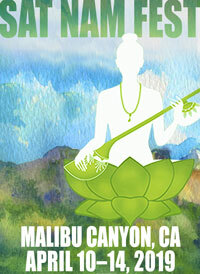 Go deeper into the meditation. Continue to see the beam of light with your mind’s eye through the circle of your hands. See the beam as a giant beam of light from a torch. Do not move the hands.